Grows to about 6 feet overall with its subteranean trunk. Should be planted in sandy fast draining soil. Usually exposed to full sun from small seedlings in habitat. 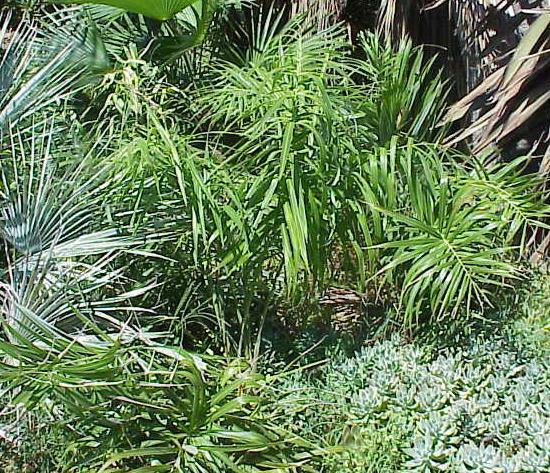 Leaves are bicolor with bright green on the top with silvery white on the undesides. The fruit from this tree is edible and delicious. 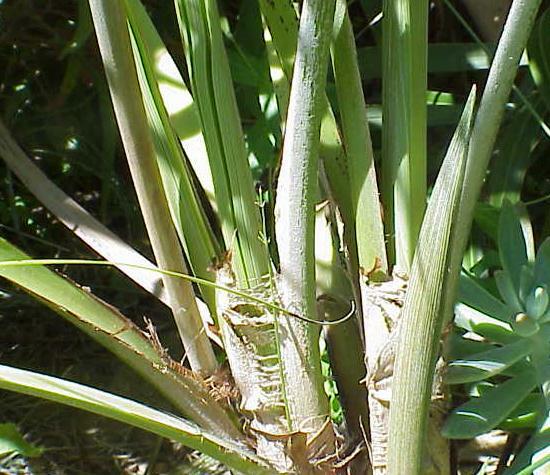 The trunkless stems are bifurcating which means that the stems multiply by division of a mature stem.